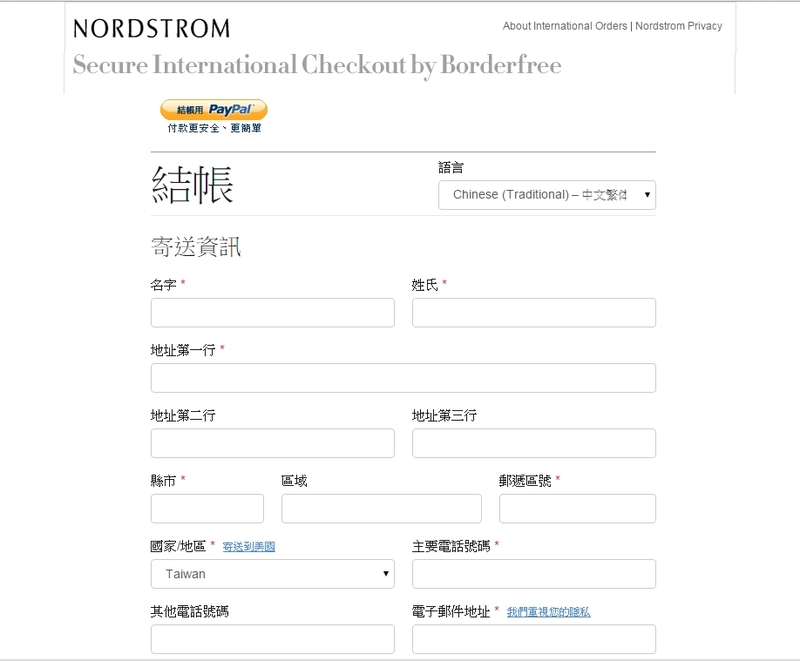 Nordstrom 是美國很大的百貨, 就像台灣的新光三月一樣. Nordstrom 有非常多的好物可以購買. 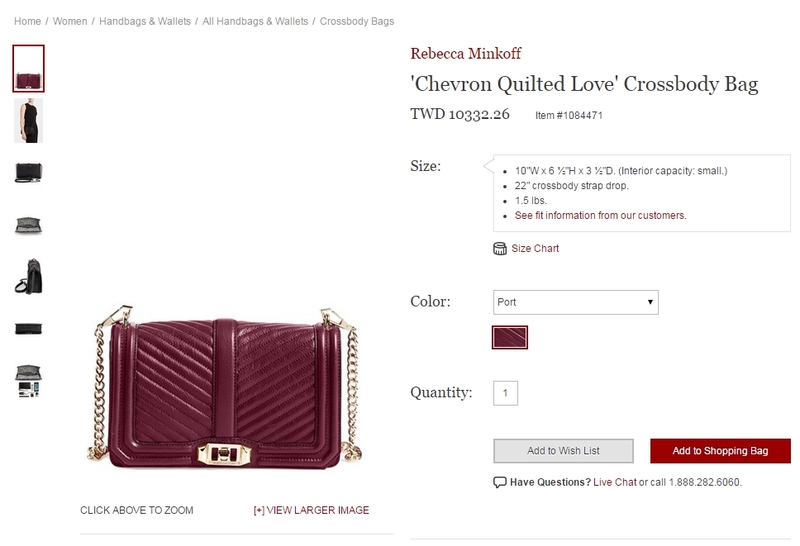 從比較負擔的起的Rebecca Minkoff, Kate Spade 到 大牌寵壞自己的 Burberry, Prada, Chanel 都有. 選好後 按 Add to Shopping Bag 就會到妳的購物籃裡, 準備要結帳的時候往右上角划, 按 Checkout! 這樣就可以結帳囉! 結帳處完全就是中文啦! 接下來把資料填一填就購物成功了!!!! 非常的簡單 非常 user friendly 吧! 比較可以注意的是 有分兩種 SF 和 DHL 的寄法 , DHL 比較快 也比較貴一點點, 如果不趕時間的這咖包包選擇SF 就可以省兩百多台幣. 如果想碰運氣得可以選擇 交貨時再付關稅和稅金, 但來來回回可能就又會拖個幾天. 我們是瘋狂喜愛逛街的兩個姊妹 ♥ 提供加拿大 &美國商品團購 ♥ 歡迎大家一起跟我們go crazy ! 604 is the Vancouver area code. the place where we get our fashion inspirations from. Shopping with the sisters, Kath and Deb.